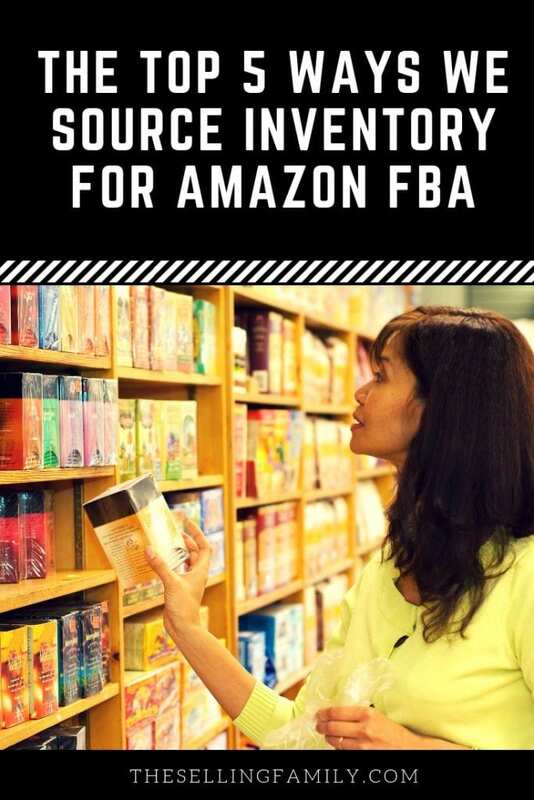 These are the first questions we get asked whenever someone wants to know more about our FBA business or how they can get started selling on Amazon. We’ve tried a lot of different sourcing strategies over the years, with some that have fizzled and others that continue to grow to this day. Things are constantly changing in a business like Amazon FBA, and we’ve seen a lot of highs and lows. Thankfully, we’ve had a lot more highs than lows! Amazon FBA has allowed us to stay home together and make a lot of our dreams come true. We are able to homeschool our son, go on plenty of family vacations, and, most recently, buy a second home on a lake! We love our work-life balance. But none of that would be possible if we didn’t know where to find the top selling products on Amazon. And that’s what brings you here! We love helping people meet their goals, and we understand how overwhelming this business can seem at first. When we started, we had to figure everything out from scratch — from the details of creating a selling account on Amazon to figuring out how to prep and pack product to ship to Amazon’s warehouses. Once we did figure it out and had success, we started teaching friends and family how to do the same. 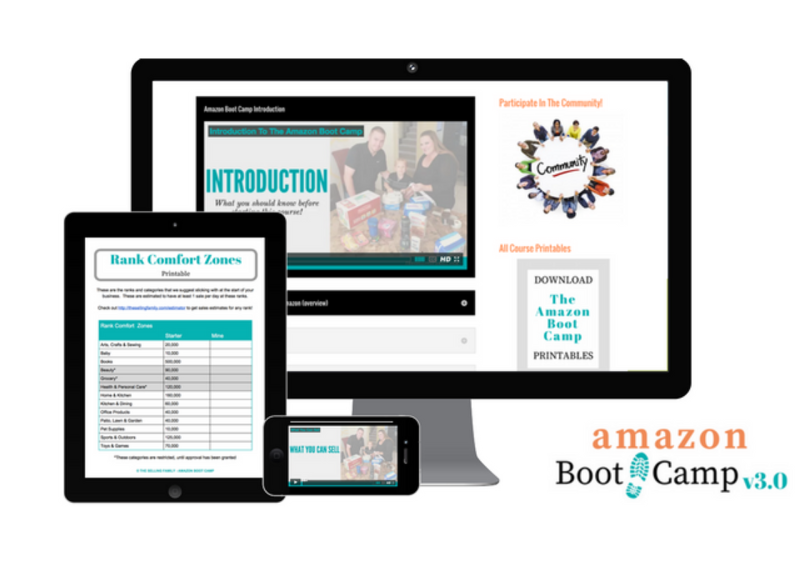 And then we created our Amazon Boot Camp to teach even more people our step-by-step system. But again, it all comes down to finding inventory! So today we’re going to discuss our Top 5 ways to source products to sell on Amazon. Please chime in at the end and share your own favorites! When you sell on Amazon, you don't need any secret suppliers or exclusive deals. You just need an eye for the best products to sell on Amazon FBA. There are places to buy inventory in every city (and even online, as I'll explain) and for every budget. 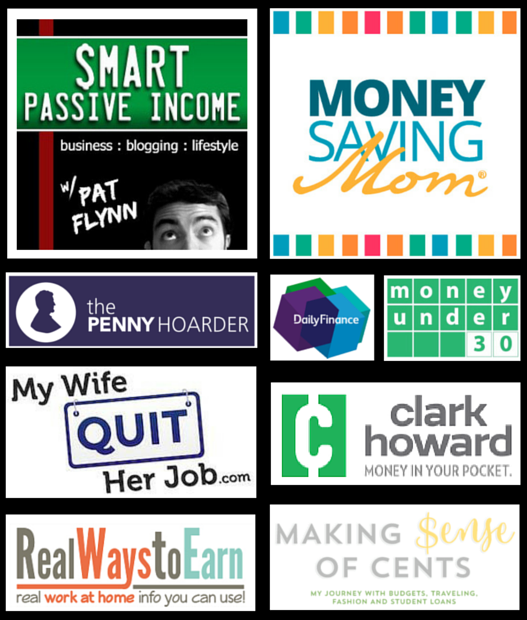 I'll be sharing some places where you can score profitable inventory for just a few dollars which is a great way to boost profits as a new seller. Once you're out in these stores looking for inventory, make sure to check each product with an Amazon scanning app. Even if you're getting a super low price, you still need to use a scanning app to know your Net Profit. And it's always a good idea to check the Sales Rank of an item, too. Alright, now it's time to share the 5 best ways to find things to sell on Amazon! This is one of the first sourcing methods we teach because it’s the most straight-forward: find product that’s on deep discount, then sell it on Amazon for a profit. If you’re new, clearance aisles are a great way to practice using your scanning app. And even if one of your first purchases doesn't ever sell on Amazon, at least it only cost you $0.75! As a new seller, that's a lot safer than “learning the ropes” while buying $100 electronics items and hoping to sell them for $300 on Amazon. When we first started selling on Amazon, we found a lot of products on clearance at local drug stores. This is still a great strategy! I would mix things up by rotating what parts of town I’d visit. When I found a winner at one store, I’d trek to every branch of that chain that I could get to in a day or two. To this day, I can’t walk into a Walgreens store without heading to the back to find the clearance endcap. For me, sourcing is all about scanning and analyzing data. I don't think twice about what the product is used for. This has resulted in some pretty funny stories about me sourcing at drug stores. I’ve gotten some really awkward looks and my small talk ended quickly once I realized exactly what types of products I was buying! The clearance aisle will introduce you to lots of different categories. At stores like Walgreens and Walmart, all different categories of products usually make their way to the same clearance section. This means you'll see toys next to baby bottles next to cassette tapes. This can help you learn to spot trends in different categories and see what appeals to you. Maybe you find yourself heading straight to the electronics or to the sporting goods, or you’re drawn to toys. Pretty soon, you begin to recognize the brands that are better ranked and can spot a good price before you’ve even scanned the item. I quickly found my niche and became an expert in Health & Beauty items. I learned that stores would follow a pattern in their mark-downs and I could even predict when a certain type of item would be going on clearance again. This is something you should aim for as well. It might take a little while to figure out, but set a goal to become an expert in a category and then focus on it. Scan everything in the aisle of a category you’re interested in. You’ll soon notice when one store carries a flavor or variety that others don’t (in Grocery, for example), or has a store exclusive that’s hard to find. A lot of times, you’ll find product that will sell well even when purchased at full retail price — but when you become an expert and find those items on clearance, you’ll know right away to pounce and buy a bunch of them. One thing I quickly learned about the Health & Beauty niche was that discontinued products could be extremely profitable. This is true of other categories, too. People have thei r favorites and when those products are discontinued, they’ll gladly pay extra for their favorite nail polish or hair color. The same is true in Grocery — seasonal flavors and discontinued flavors can be big money-makers as they become scarce. The longer something has been off of the regular shelves, the higher the price. Sometimes, instead of a quick turn (which we typically recommend), we’ll instead hang on to inventory for a little while to command a premium price. This strategy is more advanced, but consider the possibilities: you might buy something at 75 percent off and sell it for 2-3 times the normal retail. That’s a killer margin! I wanted to figure out where to find higher quantities of these kinds of products because the drug stores — or any retail store — would only have so much left over by the time they went on clearance. This is when we learned about liquidation or surplus stores. 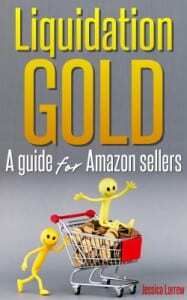 We teach you all about it in our ebook, Liquidation Gold. When chain stores have discontinued products, they only keep them on the clearance shelf for so long. After that, the products are sent to a central location where they are then sold to liquidation centers. Then a smaller mom & pop discount store buys the products by the pallet, paying pennies on the dollar. They mark them at 50-70% off of the original retail price, which is about what they’d sell for on clearance at a local chain store. The cool thing is, everything at the discount store is marked down. It’s like the whole store is one big clearance section. Here’s the kicker: it takes time for this process to happen, and by the time it does, some of the products have become scarce! Demand and price have gone up as people realize their favorite toothpaste isn’t available anywhere locally. So they start searching online and will pay premium prices for that same toothpaste. What they used to pay $2-$3 for, they are now willing to pay upwards of $15 PER TUBE! Once we realized this, we started making huge purchases from liquidation stores. Now we focus more on major buys that we can sell for months to come. A typical liquidation haul will cost around $2,000-$3,000, and bring a profit of around $10,000. This is over the course of a year or less. Although we started out doing retail arbitrage, we soon added online sourcing, or online arbitrage (OA), to the mix. This became especially convenient as my son got a little older and I couldn’t take him to the store as much. Those of you with antsy children know exactly what I’m talking about! Instead, I could source while Aiden watched his favorite show — there’s no reason I have to watch it, too! — or at night after he went to bed, or during his naps. But online sourcing isn’t just for people with little kids. It’s great for those of you who work full-time and can’t physically get to the store to source. Or for those who might have difficulty spending that much time on your feet. Or maybe you live in a rural area with limited choices. And it’s simply a great way to diversify your sourcing options. Here's a list of our Top 30 Recommended Retail Stores for Online Sourcing. We have a couple of ways we go about sourcing online. One is to “go wide” and buy limited quantities of about 5 or fewer of any one item. We’ll purchase a large variety of products and if something does well, we’ll replenish. If it tanks or isn’t available anymore, we move on. Another strategy is to buy in bulk, which is higher risk and not for everyone. When we find something that’s very discounted and very popular on clearance online, we’ll buy out all available stock — sometimes in the hundreds of items. Then we sit on those items, kind of like we mentioned in the liquidation store example. We know that, on the right types of items, prices will fluctuate for awhile and then start to increase. Once the price gets to a figure we’re happy with, we start to sell. One rule of thumb I have with online sourcing is that I can usually find about three profitable products per hour. If it’s less, I usually stop. It can be a lot of work, but there are plenty of tools to make online sourcing easier. In addition to the diversity of income, I really enjoy this sourcing strategy because I tend to find some cool new stores and different inventory that keeps things interesting. We are big fans of supporting other sellers. We never worry too much about scarcity or “giving away” Retail Arbitrage deals because there is plenty to go around! For us, this includes participating in a BOLO Mastermind. Of course you could always just share BOLOs with one or two friends, but you get way more products to source when you share with a larger BOLO community. This is one of my favorite ways to source for inventory because it helps me look outside of my comfort zone. When I collaborate with other sellers, I almost always get new ideas for things to sell on Amazon. 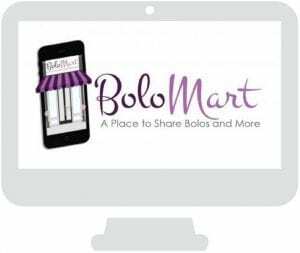 That's why my friend Eleanor and I created BoloMart: a place to share BOLOs and mastermind with other Retail Arbitrage sellers. BoloMart members agree to share one profitable RA find per month with the group. That way everyone in the group shares one item but can view hundreds of other profitable finds. It's a great way to discover entire new categories, brands, and even stores. Even if you can't find an exact BOLO item in your area, you'll get lots of ideas for new items to scan. You can read all about our BoloMart community and join our group here. Grocery is one of my absolute favorite categories. We love selling in Grocery because it can make us a lot of profit with less work. This is because of replenishables — items that people buy over and over again. There was one grocery item that we sold for over a year and bought from Target. The great thing was that we'd make a profit of $5-$7 every time we sold it, and we didn't have to do extra work. We'd just pick it up whenever we saw it. Also, think about how you can boost your sales when you are able to sell candy at Valentine’s Day, Easter, and Halloween. Or put together snacks for college survival baskets during Back to School season. If you want to make your own grocery bundles, here's a great free guide to creating profitable product pages. We’ve also made a lot of profit with seasonal flavors — something like pumpkin spice coffee or Limited Edition M&M flavors, things like that. One great thing about Limited Edition items is that they’ll go on sale at really huge discounts right around the time of a holiday, in order to clear the shelves and prepare for the next holiday. But a lot of times, those items will still sell year-round. So we’ll buy those special jellybeans at 90% off and continue selling them for months to come … at amazing margins and with no competition! And don’t just limit your search to traditional grocery stores. Places like Walmart or Target have hidden gems in their grocery aisles, too. You can source at any store that sells groceries. We’ve shown you five of our favorite ways to find the top selling items on Amazon, but we know they aren't the only ones that Amazon sellers are using. If you're looking for other strategies like wholesale or private label, check this post about The 5 Most Popular Ways to Start (or Grow) an Amazon Business. One thing I recommend is that you give any new strategy ample time to pan out. But if it's just not working for you after an honest effort, it's ok to let one strategy go. There are some strategies that will work great for some people, and not at all for others. There are lots of reasons for this. Maybe your location doesn’t have certain types of stores or you just can’t wrap your head around the idea of buying online rather than physically holding a product and scanning it. Or maybe you love kitchen gadgets, but health and personal items are like a foreign language to you! Your business will change over time and that’s ok. You might love a niche today and find something much better a few months down the road. The point is, keep working at it and stay flexible with your approach. Stay focused but also remain open to new ideas as they come along. 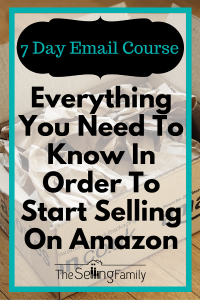 To learn more about starting an Amazon business and how to use these strategies in step-by-step detail, be sure to check out our Amazon Boot Camp. And please share your success stories with us! Thank you for the insight of FBA. I have been researching this, and other small business opportunities over the past few weeks. I got sick a while back and realized that the only way I would get healthy again was to leave the corporate world. Your posts regarding FBA have been inspirational and I believe the answer to prayer (what I need to do from home). I will be signing up for the Boot Camp course. I know what you mean! Working in corporate was a lifesuck for my husband as well. You can read about how he decided to leave his job here. I think with that high of an MOQ I would probably pass. Unless you know you could sell that many in a reasonable price with a good ROI. There are too many unknown variables for me to say yes with confidence. Hi y’all! I am brand new at this idea of selling on Amazon and trying to decide on a selling method that will be profitable but require the least amount of start up money as I don’t have much. Which method would you suggest? Also, do you ship the items yourself or have Amazon ship them? I’ve read information where people said that the fees that Amazon charges, are so high that it eats up all your profit. How do you prevent that? Thank you! For a person who knew partially nothing about how to sell on Amazon FBA, arbitraging & etc… Thank you Thank you, &Thank you, again, so much for all information I have learned from you, in literally days! : Liquidation Gold, the 7-day mini course & all of the free information you share. I plan to enroll in the Boot Camp shortly & will continue to purchase other literature of specific targeted titles. Hi Brenda. Thanks for the kind words. I’m glad you are enjoying the content and getting your Amazon business off to a good start. I know a local business that was selling their product on Amazon and was having great success. The company said Amazon dropped them because they were not the cheapest option for that product. Is this something I need to be concerned about? I am just getting things together to start selling on Amazon. Amazon doesn’t drop sellers because of their pricing. If other sellers are cheaper, they would get featured over a higher priced seller. When you talk in your post about “Scanning” products. What app exactly you use to find if the product is selling? Here is a post that shows how Amazon Scanning Apps work. Hello. How do you find out what brands are restricted from reselling on Amazon? Here is a list of brands that are restricted on Amazon. Hello. I’m just getting started with FBA. I have a question that may seem obvious but I’m having trouble finding a specific answer to. If I buy a roll of Burlap ribbon at Hobby Lobby on clearance what do I do with the preprinted price on the side of the roll? Do I price my item at the same price or remove the ribbon from the spool and repackage? Thanks for any help!! a lot of times we will put our FNSKU label on top of a printed price. This is the label we put on to let Amazon know it is our inventory. You mention I’m the grocery section being good with coupons. Is it permitted to sell items on Amazon that you’ve purchased using coupons? I know there has always been lively debate in couponing groups about whether or not it is ok to sell product purchased with coupons. There is nothing against the law about reselling items purchased with coupons. Part of what I love so much about Amazon is that there are multiple ways to source and dozens, if not hundreds of possible strategies that branch from them. Hi. I think many people might have asked you this question. But then, I am really curious.. Are we really able to do this FBA full time and make a living or substantial income from it? Hi, I was just wondering if some brands have restrictions on reselling. Isn’t it the case that certain brands can only be sold by authorized distributors/retailers? Hi Sean, Yes there are quite a few brands that have restriction on reselling on Amazon. Some manufacturers require you to get approval from them before selling their items. How would I find out what brands have restrictions? Here is a list of brands that we have run across as being restricted. The Amazon Seller App does show if an item is restricted. I am a newbie and starting out. I wanted to know if you had any sku naming procedure? I was thinking if something like this works? Would like to know your thoughts on it? Also I have started using inventorylab and wanted your thoughts on it too? Hi Mak, any of those sku templates will work, I usually include the store name abbreviated to make it faster. We love inventory lab and the scoutify app. We like the bookkeeping services that it offers as well!! What do you use the sku naming procedure for? To keep track of what you buy to sell? 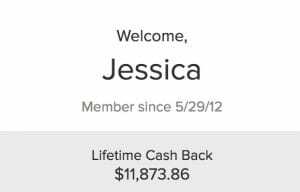 Jessica, I have read many of your posts and bought many of your products, but this post is my favorite bit of information you have provided. I was just sitting here thinking that my business was jumping around and getting scattered, but you woke me up to the fact that it is evolving. And the result is I’m slowly starting to have a multistage company. Your family and story is a great inspiration and you all are such an encouraging example of hard work paying off. Keep bringing it on, thank you. Hi Tyra, it is possible to sell from the UK. They do have different rules and sourcing strategies. We only reccommend our courses for those living in the USA.